perhapablog... and other ramblings: HEROESCON one-sheet 2011---COLOR!!! thom's displays and the washington dc show~! washington dc con and...what the heck it THAT?! 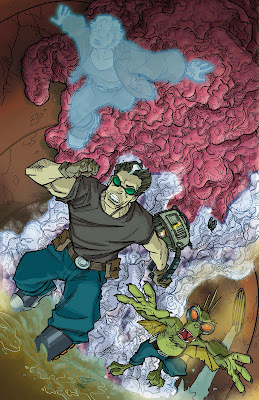 just had to post this--mike thomas' fantastic colors on the new haps heroescon one-sheet 2011~The Raleight Blob~! Have a great show, guys! That is awesome!!! Good luck at the show guys!! !